Over here at Savvy Sassy Moms, we have mixed emotions about our kids heading back to school. On one hand, we know that our kids thrive when a good routine is in place with boundaries and rules. At the same time, we are sad to say good bye to the laissez faire life of relaxed days, less to do, the traffic-free city and extra time with our kids. The start of a new school year reminds us how quickly our kids are growing up — which means we are getting older too! This year, for our back to school post and giveaway, we rounded up several fun, cool, items. We know these goodies will make heading back to school a little bit more fun…for you and for them! Labels are a consistent back to school/every day need. Each year we like to change it up and add something new to the game! Every year, our kids are into new themes and characters. Their likes and dislikes change, so we like to stay on top of our label game by creating labels with Sticker You. 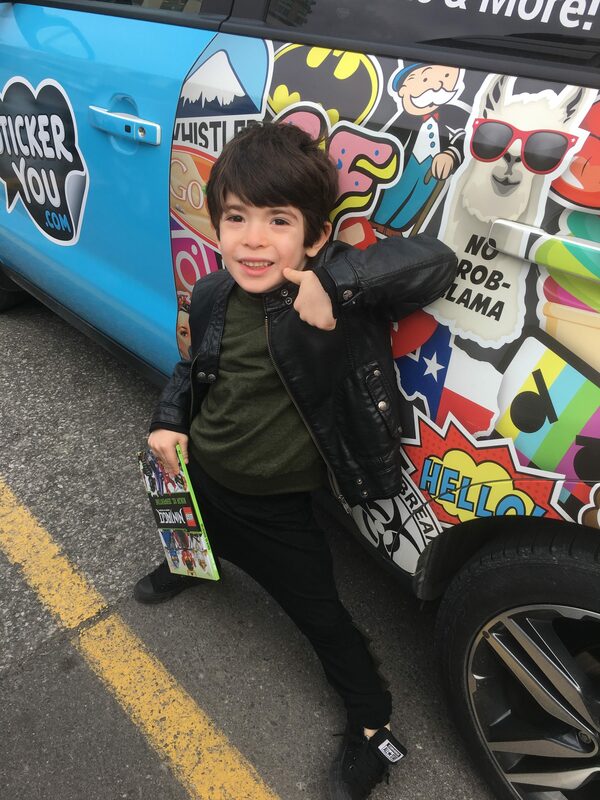 Sticker You has so many character and themes that you will find something for every kid in the family! What we love about them is that you can choose as many designs are there are stickers per page, so you can get tons of different designs! For the tech savvy parents out there, you can go as far as creating your own label designs and uploading them! Choose your desired sticker shape by the sheet to get exactly what you need. It is an extremely customized experience! 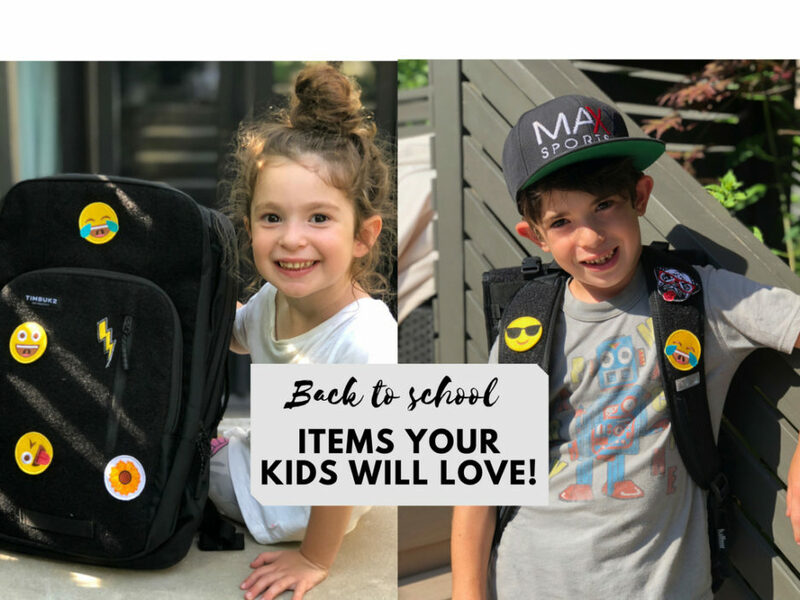 Stick them on clothes, water bottles, back packs, hats, lunch boxes and more to make sure you don’t lose a thing this school year! If you’re anything like us, you are looking for the boomerang effect these labels will have on your kids belongings! 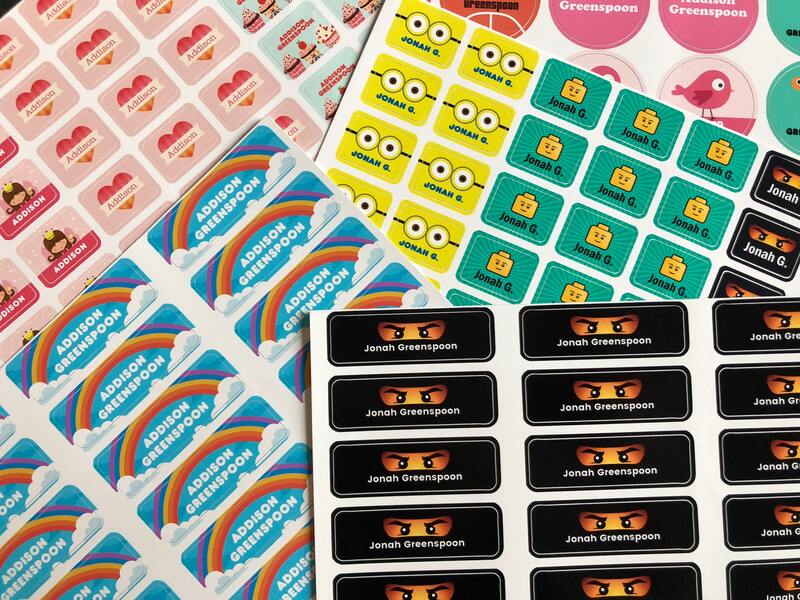 Get 40% between now and August 20th using the code KIDS40 at Sticker You. As the school year starts we know kids will be running and jumping not only into academics, but also through the halls, on the playground, and into extracurriculars. We have the perfect shoes for your little ones: See Kai Run. These shoes promote healthy development of your child’s feet. This means a roomie toe box so that their feet can move and grip and help those muscles develop. Another feature of these shoes is that they are super lightweight and flexible which means they are comfortable to play in. If you are looking for the perfect pair to go with uniforms, or dress clothes, look no farther than the Heritage Collection which are made of leather with a removable leather insole. Back to school fashion shopping is a big deal for the girls and we know how important that first day of school outfit is! We remember the good old days and not much has changed since then! Well, the fashion has definitely changed and the incredible products created for girls are more stunning then ever! We have fallen in love with the Miss Georgette line that was created in Paris for girls ages 6 and up. We are so in love with these bracelets that can be worn in so many ways! Made out of 18k gold/rose gold and 925 silver plated, the leather on the inside of the bracelet is interchangeable making it so versatile for so many different events. Each leather is double sided giving your little girls a 2-in-one bracelet. Add additional leathers to create new looks. Les Georgette offers an extensive line of interchangeable jewelry for women. We see many mommy and me looks in the making! Of course back to school means carpooling and playdates…lots and lots of playdates. During the school year, it feels like our home has a revolving door, but to be honest, we absolutely love it! With that said, getting the kids to and from playdates is a whole other story. When it comes to car safety, we are HUGE advocates and no child will enter our car without the proper seat. With 2 kids at the same school, all in car seat and booster ages, we always make sure that we are ready for any playdate request. With that said, lugging around everything you need in the car for a day plus bulky car seats is impossible! 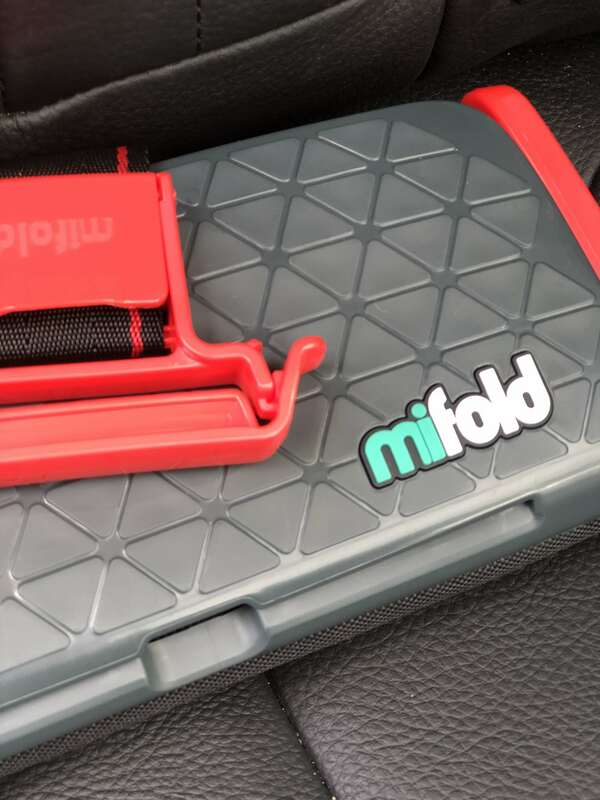 MiFold, the grab and go booster, is the answer to all of our prayers! This booster is 10x smaller and just as safe as a traditional booster. 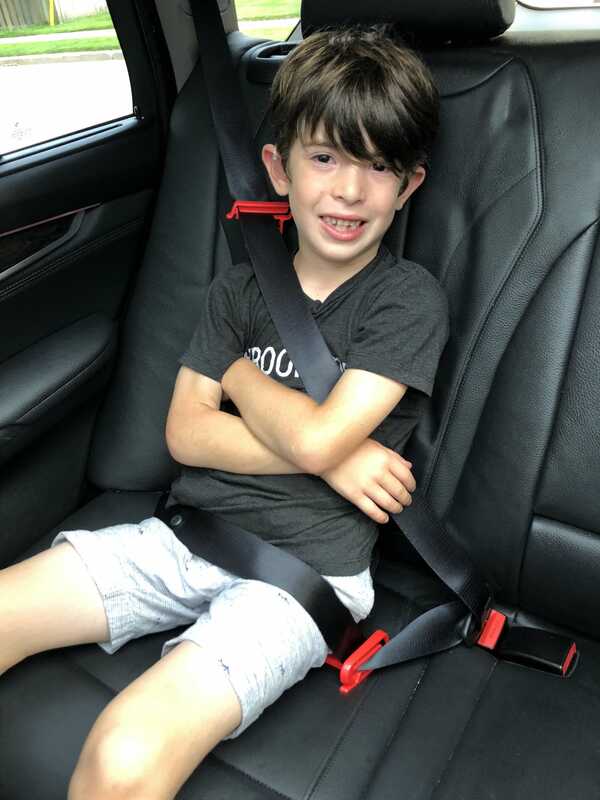 A typical booster seats lifts the child up to ensure that the seat belt is in the correct position while the MiFold does the exact opposite. Instead of lifting the child up, it holds the seat belt down ensuring that it is in the correct position on the child’s body which is on the bones of the hips, off the stomach and on the shoulder, off the face and neck. On days that the playdates are at someone else’s house, throw the MiFold into your child’s backpack and know that they will be safe in their friends cars too! If your child is still too young for the MiFold then check out the HiFold! With the fame folding technology the when folded the HiFold is 3x smaller than a traditional high back booster seat. It is also the most adjustable high back booster ever invented! Not only can the heigh be adjusted, but the width too – truly customizable for any child. 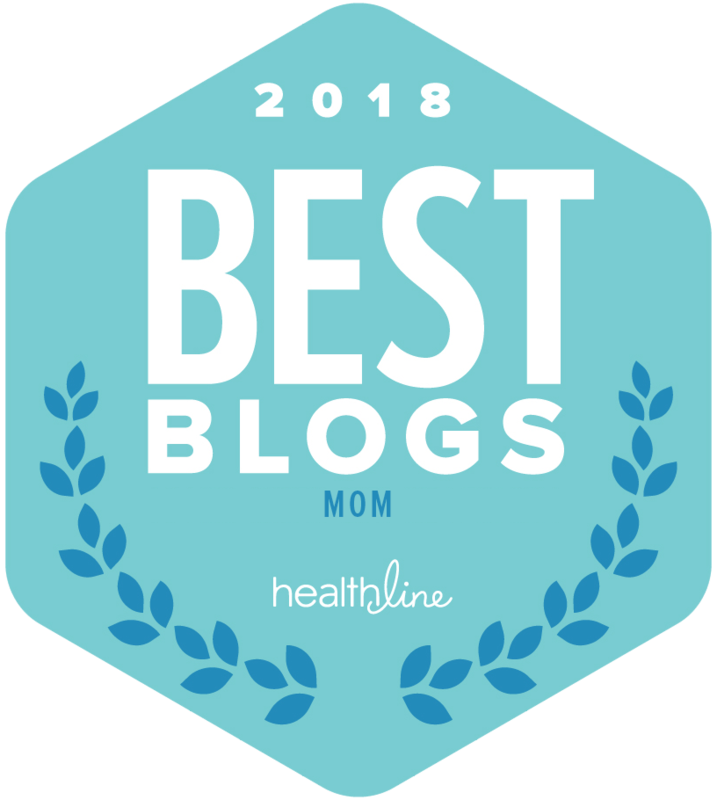 We are so lucky to have a discount ONLY for Savvy Sassy Mom readers. By following this link you can preorder the Hifold for only $94which is a 47% discount! US schools are jumping on board to share their menus with schoolmenu.com to make finding your kids school menu offering so much easier! If you have kids in different schools, this makes the lunch time schedule so much easier! 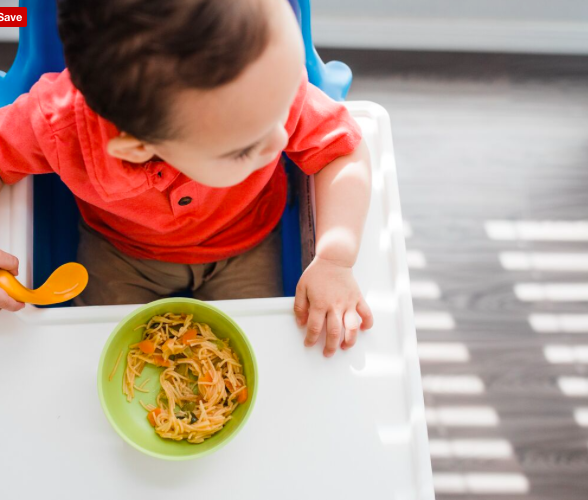 Check out all the nutritional information ahead of time and decide what is best for you child to eat! This is a great way to talk to your children about what they are eating when you not packing them lunch at home. Sign up for their newsletter and get your child’s daily school menu sent directly to you along with great tips, nutritional articles, recipes and more! 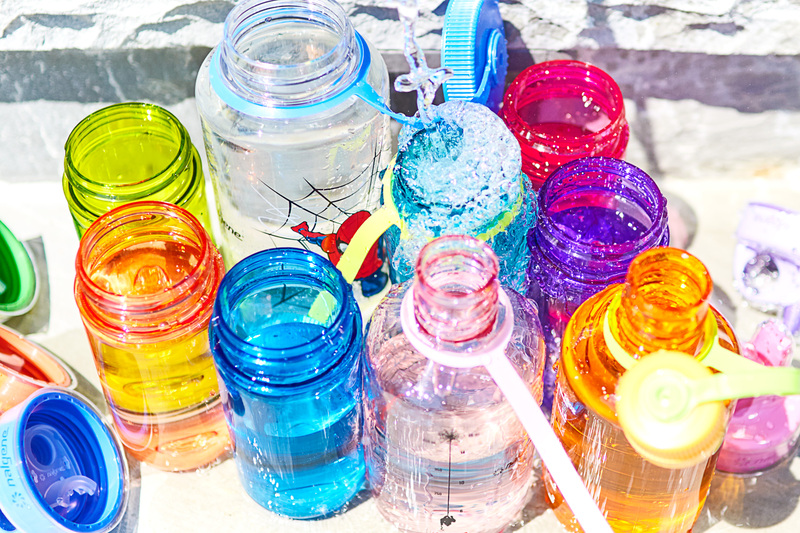 The whole family needs to be ready for back to school and Nalgene has you covered. They have bottle sizes perfect every family member from 12oz to 32oz. My oldest daughter loves popping the top on the 12 oz On The Fly bottles. We use the Grip N Gulps for water on the go, or milk with dinner. These never spill a drop, which is music to this mama’s ears. Pack the perfect lunch with the lunch box buddies. Complete with adjustable ice pack to keep lunch at the right temperate, it also has a hard sleeve so you’ll never have a mashed sandwich again. Don’t forget keeping the parents hydrated as they go from carpool to sports games. The 24oz on the fly water bottle is great when you’re carrying all that sports equipment and need to easy pop open your bottle for a drink. We love the 32oz wide mouth bottle to make sure you’re getting in those ounces all day long. Learning to properly use utensils is really tough on little hands. Kizingo Kids are designed specifically for young children’s hands. This design allows for a utensil that built the way kids want to hold it, thus making using utensils easier and less frustrating. These spoons come in lots of fun colors and are super easy to bring on the go. Is it just in our house, or is the back to school backpack the most important purchase of the year?! We have been talking about which backpacks to get all summer long! Both kids are super pumped about this years selection which can be personalized until their hearts content! Balfour customizable velcro backpacks are too cute for words! 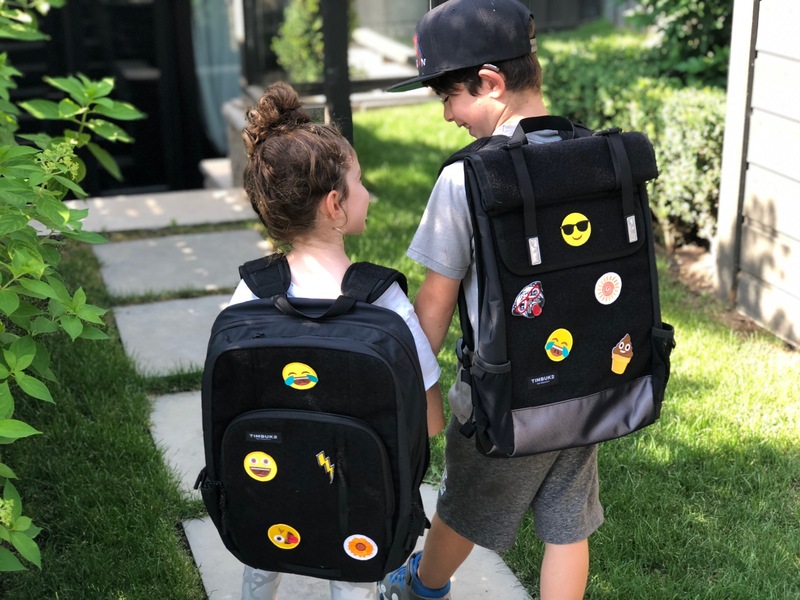 Both kids are obsessed with emojis (who isn’t), so they both wanted backpacks that they can stick, change, and create themselves! As the year goes on, I have no doubt that we will be adding velcro patches until their hearts content! Simply add patches to the back, the straps and the pockets too! Between homework and extracurricular actives it’s hard to find time to make a quality meal for your family. This can be completely true for even preschool pick up during the day. 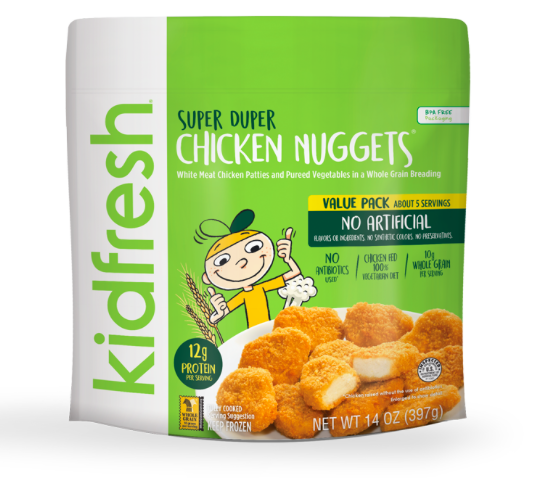 I am so thankful to have found Kidfresh frozen meals. Between the Potato ‘N Cauliflower Tots, Chicken Meatballs, and Gluten Free White Mac ‘n Cheese my kids are always asking for more. I love that these meals are non-GMO and are packed with hidden veggies. From carrots, to sweet potato and chickpeas I don’t ever have to worry that my kids are getting enough servings of vegetables. We have all seen the meme that says “I never knew I could ruin someone’s day by giving them the wrong color cup,” and it is so true. 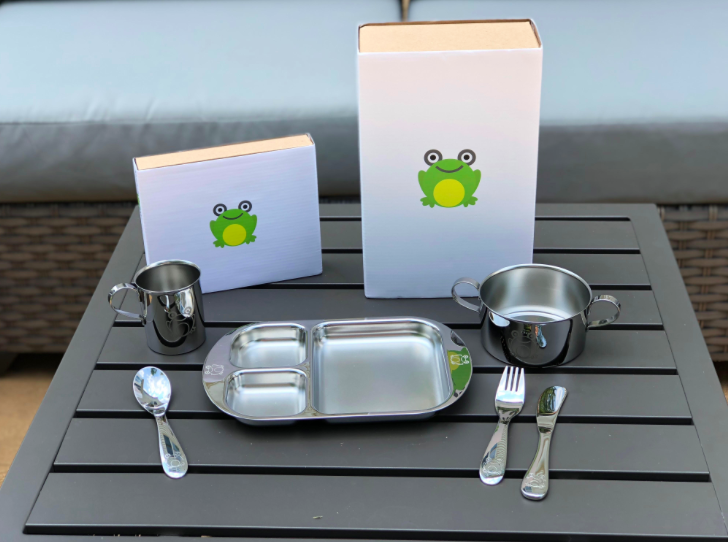 One thing that always makes my kids happy is to give them their KiddoBloom dinner set. It made of a beautiful stainless steel that super easy to clean and very durable. I am thrilled that they are nontoxic and my girls also love the fun frog that on the set. These are a true collectible that can be easily stored in the boxes to hand down to your children when they have littles of their own. We start talking about going back to school long before the first day to help our kids get ready. We know that the more we talk about it, the easier the transition will be. This year, we are sending our youngest to Kindergarten for the first time. It’s an exciting time, but also a big transition! To ease the anxiety, we are doing our part to make it fun. This month, we are adding school themed decor into her room and the playroom. Lorena Canals has the cutest line of back to school items that are cozy, washable and perfect for pretend play. We are using the basket shaped like a pencil to keep all of her new back to school items like her backpack, lunch box and some other favorite items. In addition to that, as she is getting ready to learn her letters, we added the notebook pillow to her bed so that we have a reminder to have a quick chat about what she’s looking forward to at school each day. It also helps that the pillow has an A on it just like the first letter of her name! She is can’t wait to bring it in for show and share when the time comes! Keep them engaged after school (and away from the TV)! You know how much we love Osmo, which is all about play beyond the screen. We hate the feeling of seeing our kids run through the door after school just to plop themselves down in front of the TV until dinner. We totally get that after a long day at school all they want to do is have some down time and relax which is when we pull out the Osmo. Both boys and girls go wild over the Osmo Hot Wheels MindRacers game. 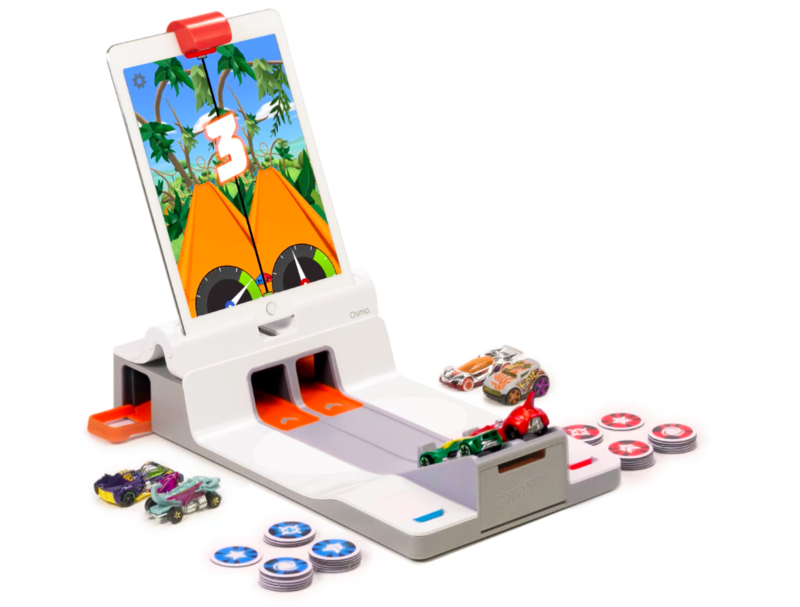 As your kids race back to school this year, let them race with Hot Wheels and bring them to life with Osmo! They will be thrilled and engaged while racing their cars on the screen! For a limited time, Osmo Hot Wheels MindRacers is 30% off (along with other amazing supercharged back to school offers) from August 5th – 18th! Don’t forget a new bag to keep mom organized. We see you Mama, running from school pick up to all those extracurriculars with baby in tow. A new bag from Pacapod is your perfect solution to stay organized while on the go. Between bottles and diapers and toys and snacks your bag is always packed. With Pacapod’s unique pod system you can know exactly what you are reaching for. All of your foods and bottles can be stored in the cold pack feeder pod while all your diapers and wipes are in a separate changing pod. Your bag will no longer be a bottomless pit since you will be able to reach in and know where everything is. Better yet, these bags are so stylish. 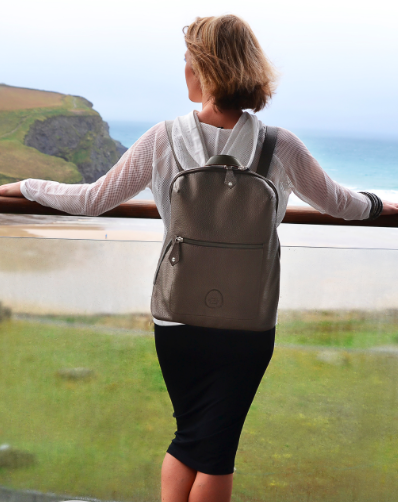 My personal favorite is the Hartland in Gun Metal which can be worn backpack style. It is made from an incredible faux leather that wipes clean. You won’t be late for the bell with Armitron watches. You will be sure to stay on time with these amazing Armiron watches . We love that there is a style for everyone. This ladies Rose Gold Plated Analog watch with Blush Leather Strap will be sure to turn heads in carline and at PTA. Not to be outdone, the Digital Chronograph Watch with Black Resin Strap and Gold accents is a showstopper for the men. It transitions so well from the office or classroom to the pool for a swim – did we mention it was waterproof? They also have the amazing Digital Chronograph Square Dial Watch with Resin Strap. This watch comes in a slew of colors and has a backlight with three second fade so you can easily tell how late it is past curfew. After returning from The Sweet Suite in New York this summer, we came across a few more items that are great for back to school! Crayola’s Take Note! Erasable Highlighters are a dream for kids of all ages! They truly erase which is unheard of and super exciting! Send your kids to school on the first day with something special! Tiki Cards are nail sticker trading cards for girls! Girls can collect and trade cards with their friends and then apply them on their nails for a fresh manicure look! Girls everywhere are loving them! After school engage your kids in some quiet time with Hidden Pictures from Highlights! With over 100 pages of fun, school age children can look for hidden items in the pictures. Take out some pencil crayons and let them go at it for hours of fun! We also love the puzzles from Kodak that feature richer, truer colors in their puzzles! The puzzles are picture perfect and a great way to build fine motor strength while problem solving! You can never have to many games! Ice Pop Swap is the cutest color matching game for kids! We have been playing ours this summer before heading into kindergarten! Be the first one to get 4 ice pop sticks and you win…but watch out for the Icky Sticks! They fell in the dirt and won’t count! Our kids think this game is a blast! For kids a bit older, try the Monster Match Game. Use the dice to find different monsters. Some have 3 eyes, some have 4…let the dice tell you who to find! The IQ games are one of our favorites! This years IQ Stars is just as fun and challenging as the others! This is a great game for bus rides, recess and more! Challenge your kids with this one! To fuel your child’s love of science, try the Leaning Resources Beaker Creatures. Simply drop them in water and watch the reaction it has! Once it’s done, simply extract your Beaker Creature. This is a great activity to get your little ones engaged and excited about science! 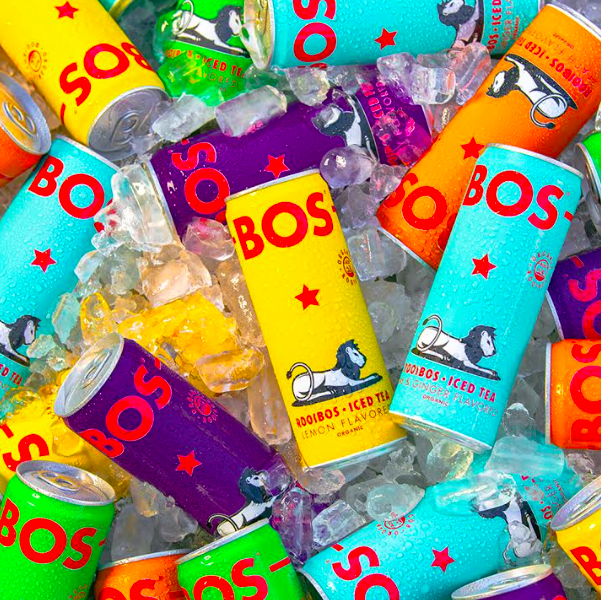 Stay hydrated by grabbing a BOS Iced Tea this back to school These drinks are only 70 calories and are made from the rooibos plant which is a superfood from South Africa! Even better BOS plants 1 tree for every 2,000 cans sold! great giveaway love reading your blog…. thank you again for the chance! My kids would be SO excited!! I’d love to win because my oldest starts third grade in a couple weeks and the younger will start preschool probably mid-session this winter. I pack shoeboxes for Operation Christmas Child. The sponsors suggest that school supplies be included in each box. These school supplies would help a child who really has nothing. I would like this for my 2 kids who will be returning to school in a couple of weeks. This is a great collection of items! As a gift for my cousin! I’d love to win this because I have 4 kids that could use these items! These are some of our favorite brands, especially See Kai Run and Pediped! I’d love to give them to my nephews for back-to-school. I would love to win this since my oldest is starting kindergarten and this stuff is so awesome and would get her so excited for going to the “big kid” school! School goes back tomorrow in our area, so we are stocked up on school supplies,. Most of the products in the gift pack aren’t necessarily for school, so we can still use them, especially the Kidfresh! !Those nuggets are delicious. I usually snag 4 or five when I make them for the kids!! Great quality products for a great start to the school year. Thanks so much for the giveaway! This would be wonderful for my twins going into second grade! They would use it all! This would be awesome for my two girls for school this year! I’d love to win because I’ve got 5 kiddos between the ages of 3 and 13 that would LOVE all this fun gear and games! I’d love to win this stuff for my son. We love trying new products! My kids would have a blast looking through all the fun prizes! My girls would love to win prizes. Love the quality of these products. They are cute and fun. Would love to surprise my kiddo. Great variety of products we would love to try! I would love to win this because I have 3 kiddos in school from Kindergarten to 7th grade, this would come in handy! I would like to win all of these back to school goodies for back to school.